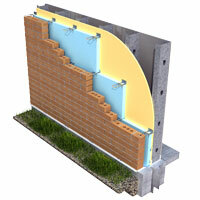 HB-213-HS is a High-Strength Veneer Anchor System for heavy-duty applications. 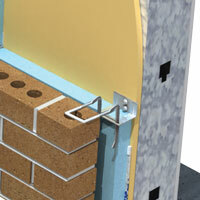 It combines the HB-213 and H&B’s Heavy Duty 1/4” diameter Compressed Leg Mighty-Lok® Hook, which is flattened and serrated to fit a 3/8” mortar joint satisfying code requirements for mortar bed thickness. 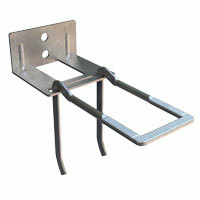 The Mighty-Lok® Hook CAN BE INSTALLED WITH LEGS POINTING UP OR DOWN. 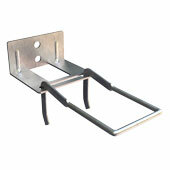 Ideal for usage when the offset of engagement between pintle and anchor is greater than 1-1/4". Compressed leg length will accommodate up to 2 1/4" of effective adjustability while maintaining sufficient strength. 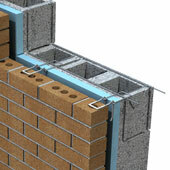 Suitable for 3/8" mortar joints. Mighty-Lok™ Pintle Lengths (1/4" diameter): 3", 4", 4-3/4", and 5-1/4" are Standard. Custom Lengths available special order.